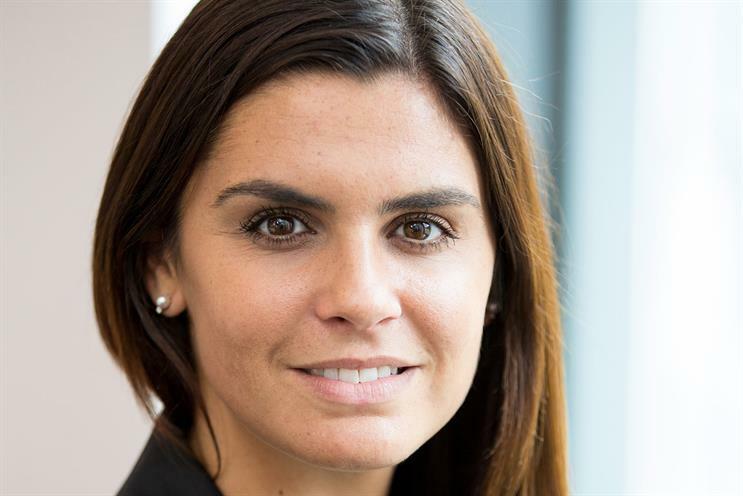 We catch up with Alessandra Di Lorenzo, chief commercial officer for advertising and partnerships at Lastminute.com Group, following the launch of its media business, The Travel People. An early alarm gets me up and into the office by 8am for a head start on what’s shaping up to be a busy week. I head up The Travel People, which is the media arm of Lastminute.com Group, so I run the publisher side of the business. The day kicks off with a status update with my data insights team to talk about how we’re developing our audience proposition, which is powered by our rich insights and data. It’s a complex topic and one of our top priorities as a business so I like to check in with them every Monday if I can. The team leaves buzzing for the week ahead. Next up, our sales and product teams get together via Google Hangout to catch up on the campaigns coming up and flag any issues that we need to address. During the session, I run through the pipeline for the coming week with the sales teams, then our director of product outlines any new features available to our advertisers. We have just launched our video content lab and are busy looking at other ways we can enhance the offering across the group’s sites. After a quick trip to the falafel place on Leather Lane, I chat to a couple of music media companies in the afternoon. Our audiences are young and passionate and we know how much they love music, so we’re looking to do some funky projects to reinforce our proposition there. In the evening, I’ve got tickets to go and see Wicked with my parents, who are visiting from Milan. It’s the second time I’ve seen the show and I loved it just as much this time round. Today begins with a "war room" meeting – sounds daunting, I know. It’s a regular sit down with my boss and my peer group to take a step back and consider what’s going on in the wider business. This is followed by a couple of interviews with candidates for our tech and operations department. I meet some great, fresh talent that makes me really excited about growing this part of the business. I then spend a couple of hours working with our French travel teams to bring them up to speed on our new media products. We’re launching The Travel People in France later this month so the entire organisation needs to be briefed. It’s been a busy day, and the last thing I need when I get home is a battle with the online company I bought my last kite from. It’s a great 7m Cabrinha and I’d really love to have it before it gets too cold for Camber Sands – but it’s still not arrived. Is it an online scam? Wednesday is a "WAYN day". We announced the acquisition of social travel network Where Are You Now? (WAYN) a couple of weeks ago and now it’s all systems go. We want to integrate WAYN into The Travel People as quickly as possible so we can start taking advantage of its audience and content offering – and our brand partners can too. But it’s a big job to work out the best way to organise our teams with the new social proposition added to the mix. In need of a bit of headspace, I take myself on a long run in the evening, up on the hills of Crouch End which is near to where I live. It’s beautiful round there and I break past the 9k mark for the first time. The management team get together for a weekly call on Thursdays, to make sure the lines of communication are flowing clearly. It’s challenging as we’re spread across five different cities – London, Milan, Madrid, Paris and Munich – but with a bit of patience and some extra effort on cross cultural communication we are making it work. For the first time this week, I manage to get out of the office for a proper meal. I meet one of my senior agency friends for lunch at the Holborn Dining Room and Delicatessen to talk about our audience products and new capabilities. It’s easy to assume that because Lastminute.com is an online travel agency, we only cater for travel brands – but actually there’s a huge opportunity for brands selling anything from flip flops to sun cream or travel insurance to reach millions of travellers who are actively looking to spend, by advertising across our European sites. The afternoon flies by in a quarterly review meeting with The Travel People’s PR agency. There’s been so much going on since the The Travel People’s UK launch in July and it’s refreshing to sit back and reflect on what we’ve achieved so far – and think about some of the exciting projects in the pipeline. I finish the day with some farewell drinks with our Head of Account Management, who is going back to Milan after three months in London. She will be missed, but hey – Milan is just around the corner! Friday is one-to-one day. That means six one-hour calls with my leadership team. The catch up that stands out the most today is with Artem and Roberto, our Barcelona- and Milan-based Head of Programmatic and Programmatic Manager, two rising stars in the business. They’ve grown our programmatic revenues by 30% year-on-year in less than six months – amazing transformation. A 5.30pm finish gives me time to wind down and prepare for next week, when we’re all heading to Ibiza for a team offsite. I can think of worse places to convene!